PART NUMBER: DAC10923NR. XJ [XJ40] (1986-1994). Specialising in Austin-Healey, Classic Mini, Jaguar, Mazda MX-5, MG, Morris & Triumph. Marke: Hajus. 1 x Zündspule. Brauchen Sie Hilfe?. Ohne Risiko. Schreiben Sie uns eine Nachricht. So erreichen Sie uns zahlen Sie bequem. aus Deutschland. REPLICA VITALONI CALIFORNIAN Wing Mirror HOUSING. Fits Models: All X1/9's 1300's and Fiat 124, Fiat 125, Fiat 127, Fiat 128 & Various Lancia's, Alfa's & Ferraris. Ensure Engines & Gearboxes are filled with correct oils to the correct levels. FREE GIFT NGK Ignition Coil Keyring NGK U5063 / 48229 Ignition Coil Genuine NGK Component. NGK Spark Plugs. NGK Glow Plugs. NTK NGK Oxygen Sensors. No ignition cables are required The NGK ignition coil of the Type U5 is a pencil coil with single spark technology. With their 'perfect match for every engine' philosophy, you'd expect nothing less from NGK. This ignition coil is of theplug top coil design. With this type one ignition coil is used per spark plug therefore no ignition cables are used. 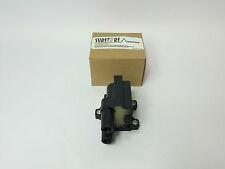 Viper VC110 Dry Ballast Ignition Coil. The Viper VC110 is suitable for any factory fitted electronic ignition system or distributor and is perfect for our Powerspark. The Viper VC110 ignition coil is modern technology designed for classic cars. 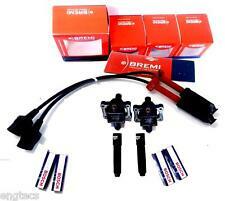 FREE GIFT NGK Ignition Coil Keyring NGK U5002 / 48003 Ignition Coil Genuine NGK Component. NGK Spark Plugs. NGK Glow Plugs. NTK NGK Oxygen Sensors. No ignition cables are required The NGK ignition coil of the Type U5 is a pencil coil with single spark technology. 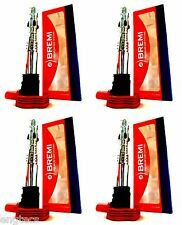 FREE GIFT NGK Ignition Coil Keyring NGK U4008 / 48157 Ignition Coil Genuine NGK Component. NGK Spark Plugs. NGK Glow Plugs. NTK NGK Oxygen Sensors. One ignition cable is required for each coil The NGK ignition coil of the Type U4 is a pencil coil with double spark technology. NISSAN 22448-6N012. NISSAN 22448-6N015. NISSAN 22448-6N000. NISSAN 22448-6N002. NISSAN 22448-6N010. (nur zum Vergleich). FREE GIFT NGK Ignition Coil Keyring NGK U1005 / 48057 Ignition Coil Genuine NGK Component. NGK Spark Plugs. NGK Glow Plugs. NTK NGK Oxygen Sensors. One ignition coil per vehicle Number of ignition cables corresponds to the number of spark plugs In addition, a cable to the distributor is required. FREE GIFT NGK Ignition Coil Keyring NGK U1023 / 48115 Ignition Coil Genuine NGK Component. NGK Spark Plugs. NGK Glow Plugs. NTK NGK Oxygen Sensors. One ignition coil per vehicle Number of ignition cables corresponds to the number of spark plugs In addition, a cable to the distributor is required. FREE GIFT NGK Ignition Coil Keyring NGK U1013 / 48093 Ignition Coil Genuine NGK Component. NGK Spark Plugs. NGK Glow Plugs. NTK NGK Oxygen Sensors. One ignition coil per vehicle Number of ignition cables corresponds to the number of spark plugs In addition, a cable to the distributor is required. Bremsscheibe / Beläge. VW Bora Variant 1J6 1999/05-2005/05 2792 ccm 6. VW Bora 1J2 1999/03-2005/05 2792 ccm 6. ABS Sensor. Seat Leon 1M1 2001/02-2006/06 2792 ccm 6. VW Golf IV Variant 1J5 1999/05-2006/06 2792 ccm 6. FREE GIFT NGK Ignition Coil Keyring NGK U4001 / 48055 Ignition Coil Genuine NGK Component. NGK Spark Plugs. NGK Glow Plugs. NTK NGK Oxygen Sensors. One ignition cable is required for each coil The NGK ignition coil of the Type U4 is a pencil coil with double spark technology. 2W4Z12029AC, C2S42751, XR814052, XR816250. Car : JAGUAR. JAGUAR S TYPE 3.0 (1999-2007). Length : 215 mm. All the information we have regarding the fitting is stated above. Number of Inlets / Outlets : 1. 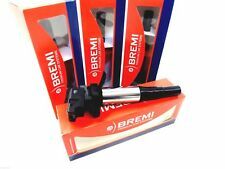 1 x O.E QUALITY IGNITION COIL Fits: TOYOTA AVENSIS VERSO 2001 - 2009 2.0 PETROL ENGINE CODE: 1AZ-FE. FREE GIFT NGK Ignition Coil Keyring NGK U1003 / 48039 Ignition Coil Genuine NGK Component. NGK Spark Plugs. NGK Glow Plugs. NTK NGK Oxygen Sensors. One ignition coil per vehicle Number of ignition cables corresponds to the number of spark plugs In addition, a cable to the distributor is required. FREE GIFT NGK Ignition Coil Keyring NGK U2009 / 48030 Ignition Coil Genuine NGK Component. NGK Spark Plugs. NGK Glow Plugs. NTK NGK Oxygen Sensors. Normally, one ignition coil is required per cylinder head. FREE GIFT NGK Ignition Coil Keyring NGK U2018 / 48070 Ignition Coil Genuine NGK Component. NGK Spark Plugs. NGK Glow Plugs. NTK NGK Oxygen Sensors. Normally, one ignition coil is required per cylinder head. FREE GIFT NGK Ignition Coil Keyring NGK U5064 / 48231 Ignition Coil Genuine NGK Component. NGK Spark Plugs. NGK Glow Plugs. NTK NGK Oxygen Sensors. No ignition cables are required The NGK ignition coil of the Type U5 is a pencil coil with single spark technology. Vauxhall Part Number: 55561655. Mokka 2013 On; Engine code, A18XER. Zafira C 2013 On, Engine codes, A18XEL, A18XER. Astra J Mk6 2010 On; Engine codes, A16LET, A18XER. Insignia 2009 On; Engine codes, A16XER, A18XER. NGK Ignition Coil - U4004 (NGK48104) Plug Top Coils (Paired). With their 'perfect match for every engine' philosophy, you'd expect nothing less from NGK. This ignition coil is of theplug top coil design. NGK Ignition Coil U5145 (NGK 48395) Plug Top Coil With Single Spark Technology. 1: A small sized integrated driving circuit is built into the top of the coil. 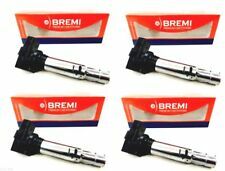 Single pencil or COP-type ignition coil per spark plug. FREE GIFT NGK Ignition Coil Keyring NGK U2045 / 48196 Ignition Coil Genuine NGK Component. NGK Spark Plugs. NGK Glow Plugs. NTK NGK Oxygen Sensors. Normally, one ignition coil is required per cylinder head. FREE GIFT NGK Ignition Coil Keyring NGK U5117 / 48337 Ignition Coil Genuine NGK Component. NGK Spark Plugs. NGK Glow Plugs. NTK NGK Oxygen Sensors. No ignition cables are required The NGK ignition coil of the Type U5 is a pencil coil with single spark technology. THIS WILL FIT ALL 3.2/4.0 XJ6 XJR X300 MODELS FROM 1994-1997 VIN CHASSIS RANGE 720125-812255. JAGUAR PART REFERENCE NUMBER LNE1510AB. JAGUAR PRICE ON THIS ITEM IS A MASSIVE £169.91! !, COMPARE OUR BUY NOW PRICE. NGK Ignition Coil - U1034 (NGK48152) Plug Top Coils (Paired). With their 'perfect match for every engine' philosophy, you'd expect nothing less from NGK. Usually one ignition coilper vehicle is fitted of this design. FREE GIFT NGK Ignition Coil Keyring NGK U6021 / 48124 Ignition Coil Genuine NGK Component. NGK Spark Plugs. NGK Glow Plugs. NTK NGK Oxygen Sensors. The device contains two copper wire windings and a laminated iron core. FREE GIFT NGK Ignition Coil Keyring NGK U1035 / 48156 Ignition Coil Genuine NGK Component. NGK Spark Plugs. NGK Glow Plugs. NTK NGK Oxygen Sensors. One ignition coil per vehicle Number of ignition cables corresponds to the number of spark plugs In addition, a cable to the distributor is required. Vauxhall AGILA Mk I (A) 1.2 16V Twinport 07/04-11/06. Vauxhall AGILA Mk I (A) 1.2 16V 09/00-03/08. Vauxhall ASTRA Mk V (H) Sport Hatch 1.4 i 16V 03/05-11/10. Vauxhall CORSA Mk I (B) 1.2 i 16V 03/98-09/00. 1: A small sized integrated driving circuit is built into the top of the coil. One ignition coil simultaneously supplies two spark plugs. IGNITION COILS. This is to ensure our prices remain as competitive as possible. NGK Ignition Coil U2075 (NGK 48370) Ignition Block. One ignition block supplies several spark plugs. Normally, one ignition coil is required for each cylinder head. 1: A small sized integrated driving circuit is built into the top of the coil. 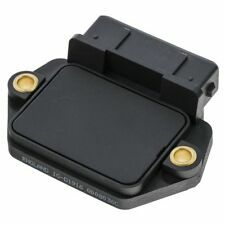 NGK Ignition Coil U4027 (NGK 48375) Plug Top Coil With Double Spark Technology. One ignition coil powers several spark plugs through a distributor. 1: A small sized integrated driving circuit is built into the top of the coil. NGK Ignition Coil U2076 (NGK 48371) Ignition Block. One ignition block supplies several spark plugs. Normally, one ignition coil is required for each cylinder head. 1: A small sized integrated driving circuit is built into the top of the coil. Renault Trafic Bus TXW, Bj. Renault Espace II J/S63, Bj. 1991-1996 Großraumlimousine. Renault Clio I B/C57, 5/357, Bj. 1990-1998 Schrägheck. Renault Laguna I B56, 556, Bj. 1993-2001 Schrägheck. Renault 19 II B/C53, Bj. FREE GIFT NGK Ignition Coil Keyring NGK U2043 / 48193 Ignition Coil Genuine NGK Component. NGK Spark Plugs. NGK Glow Plugs. NTK NGK Oxygen Sensors. Normally, one ignition coil is required per cylinder head. With their 'perfect match for every engine' philosophy, you'd expect nothing less from NGK. This ignition coil is of theblock ignition coil design. 1: A small sized integrated driving circuit is built into the top of the coil. NGK Ignition Coil - U1084 (NGK48357) Plug Top Coils. With their 'perfect match for every engine' philosophy, you'd expect nothing less from NGK. Usually one ignition coilper vehicle is fitted of this design.